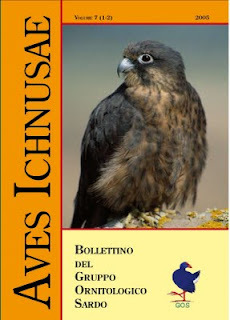 Foto di copertina/ Cover photograph: Femmina di Falco della regina Falco eleonorae in piumaggio inusuale. Golfo di Palmas./ Female of Eleonora’s Falcon showing unusual plumage. Gulf of Palmas, Sardinia (Giuseppe Floris). The colony of Eleonora’s Falcon Falco Eleonorae in Toro Islet, Sardinia. The southernmost island of Sardinia, Toro islet, hosts the third largest colony of Eleonora's Falcon in Sardinia. The present article collects relevant data of censes gathered in the last years, presenting the so far unpublished census data collected by the authors in the seasons 2000 and 2002, data from 2003 and from a period 1968-1997 from other researchers. So far, only eight censes or consistence assessments are known of this colony. In the period of 1993-2003, the breeding population of the islet had a minimum of 50 pairs (1995) and a maximum of 70-85 estimated pairs (1997), while during 2000-2003 it consisted of 60-75 pairs. The islet has circular shape, diameter of 350-400 metres . Its maximum height is 112 metres above sea level. 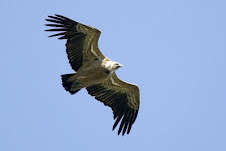 In 2000 nests mapping revealed an almost regular distribution in the 10-90 metres zone (arithmetic average 50,1 metres a.s.l., weight-average 48,20 metres a.s.l.). 24.5% of the nests was settled in the upper third of the cliff, 43.5% in the central one and the remaining 32% in the lower third. In the 2000 season productivity was 1.2 chicks/pair (N=56 nests registered), in 2002 it was 1.4 chicks/pair (N=36 nests registered), and in 2003 it was 1.46 (N=37 nests registered). Besides, in the 2000, 37% of the registered nests had infertile eggs or unhatched ones, and 23.2% had only eggs and no chicks at all. Moreover, in 2003 season nests with unhatched eggs or infertile eggs nests was 32.4%. This high percentage could be related to a late hatching period in those seasons, at least concerning a portion of the whole colony, or on the other side related to an infertility phenomenon which needs a further analysis and closer investigation. All data (although incomplete, in some cases) and the corresponding analyses allow a colony trend line in the last 10 years to be drawn, showing that it could be considered “steady” or “not declining”. Nonetheless, due to the nature of collected data, colony range and the relative short time series of the survey, results need to be confirmed by further studies. Third census of the heronries in Sardinia: 2002 year. In 2002, the third complete census of the heronries throughout Sardinia assessed 56 heronries and 1554-1680 pairs/ nests of colonial Ardeidae with five species: Night Heron (47-58 pairs in 10 colonies), Squacco Heron (7-8 pairs in 4 colonies), Cattle Egret (659-690 pairs in 6 colonies), Little Egret (749-805 pairs in 22 colonies) and Purple Heron (92-119 pairs in 26 colonies). The heronries are scattered mostly along the coasts, and are gathered within the main wetlands. The main distributional area for the Herons breeding are in the Oristano Gulf, with eight heronries and 632-687 pairs of Little Egrets, Cattle Egrets and Purple Herons (41% of the total breeding population). Colony size averaged 28.8 pairs/colony, and ranged from 1 to 565 pairs. The biggest heronries had 530-565 pairs (near Cabras), 350 pairs (in the Lagoon of Cagliari), and 100-130 pairs (Sant'Antioco Island). All other colonies had less than 100 pairs; 71% of the heronries had from 1 to 10 pairs, and 88% less than 25 pairs. Three complete counts have been carried out in Sardinia, in 1986, 1992 and 2002. The number of pairs increased from 407 in 1986, to 943 in 1992, and to 1554-1680 in 2002, i.e. a 65-78% increase during the last ten years, and a 282-313% increase from 1986 to 2002. All species have increased in number of pairs and of colonies. All the heronries present in 1992 remained occupied in 2002. The species that increased most in number was the Cattle Egret, while the Little Egret had the largest increase in its breeding range. Over 50% of the Little Egret colonies are on the small marine islets, up to 2.5 Km from the coast. The biotopes with dominant Phragmites australis and Tamarix sp. are used by all breeding species, while those with Salix alba are rarely used. Airone guardabuoi Bubulcus ibis, nidificante su canneto nella garzaia dello Stagno di Molentargius, Cagliari. / Cattle Egret breeding on reedbeds in the heronry of the Molentargius Pond, Cagliari (Roberto Meloni). The wintering of Black Stork in Sardinia. In the period between 1988 and 2004 the regular winter presence of the Black Stork in Sardinia was recorded. Some wintering records during the winters 1988-89, 1992-93, 1997-98 and 2002-03 have been checked, as well as a regular presence of the species in the periods 1991-98 and 2000-04: we could assume that the wintering of the species is a regular event. 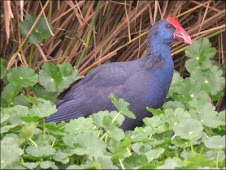 Wintering occurs in the coastal wet areas, especially of the Sulcis/ Cagliari, of the Gulf of Olbia/ Sassari and of the mouth of Flumendosa/ Cagliari, with 1-3 individuals every year. In the Gulf of Palmas/ Sulcis, which represents the most important site for wintering, a group or 3-4 individuals was recorded in winter 1992-93, and in winter 2002-03 a group of 5 individuals wintered. Winter presence and wintering cases were noticed recently also in other Italian regions, but Sardinia is one of the rare areas where the winter presence is regular. In the other parts of the Western Palearctic a regular winter presence of the species has been recorded in Spain, Bulgaria and Morocco. Cicogna nera/ Black Stork Ciconia nigra (Bruno Caula). On 13 March 2005 more than 100 individuals of Thick-billed Lark and more than 480 individuals of Temminck’s Horned Lark were observed in the Dahar region in South Tunisia. This is the highest concentration ever recorded for Tunisia. In the past, records of these two species rarely exceeded groups of about ten birds. Alouettes de Clot-Bey Rhamphocorys clot-bey. Source d’eau de Bir Zoui/ Dahar (Tunisie), 13 Mars 2005./ Thick-billed Larks at Bir Zui/ Dahar, Tunisia; 13 March 2005 (Hichem Azafzaf).